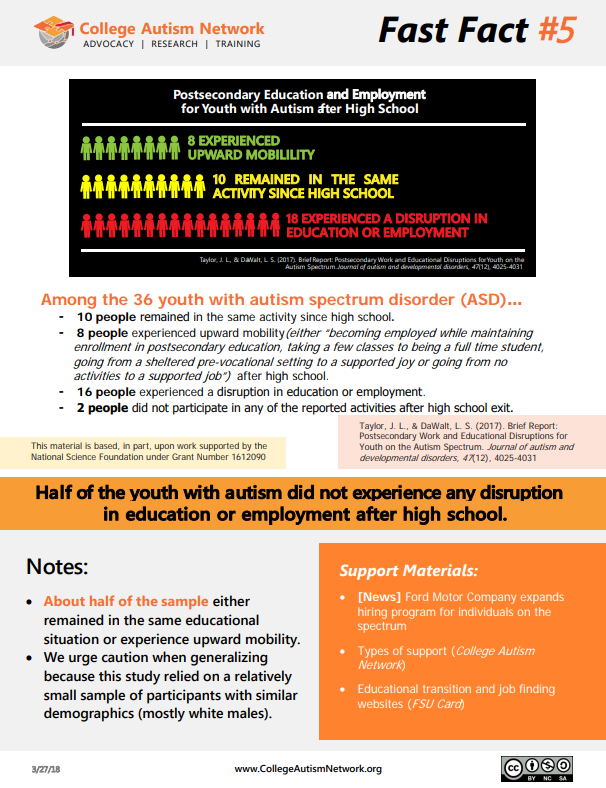 Half of the youth with autism did not experience any disruption in education or employment after high school. *16 people experienced a disruption in education or employment. * 2 people did not participate in any of the reported activities after high school exit.